Sometimes I surrender to my crazy. 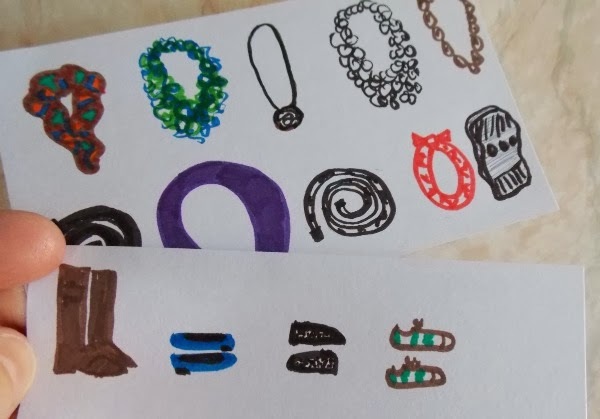 Reading her blog and getting inspired by her photos of 30 outfits with 10 items, I sat down and worked out ~ on index cards with markers ~ what I could do with ten items. 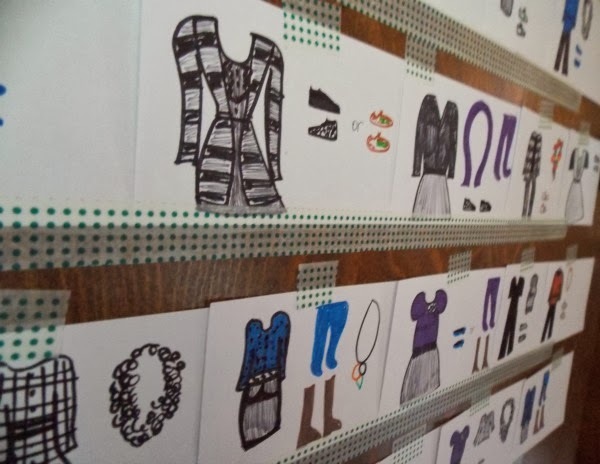 This concept is not new to me, but somehow my wardrobe continues to get new pieces and I have to reduce it again. 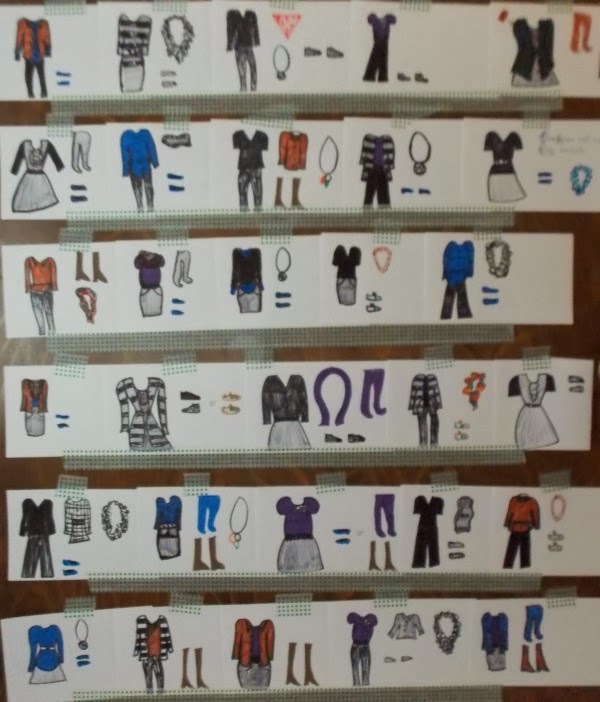 I've handwritten outfit combinations before but being a visual kind of gal, I decided to draw them out this time. A little tedious, yes, but so much fun for me. It pulled all the creativity I own into one helpful project. The irony of this is that I don't consider myself concerned with fashion but I love creating within boundaries and ten items is a tantalizing challenge. 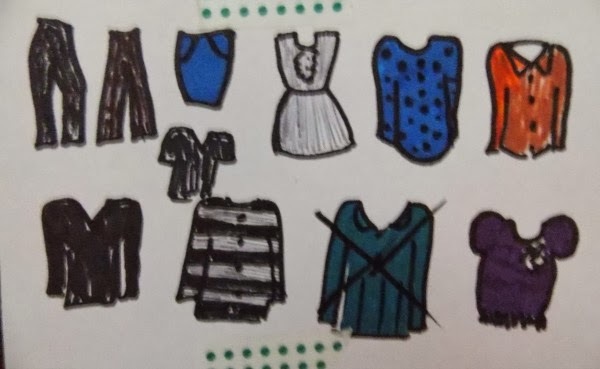 I like the idea of knowing I could live more simply with less stuff, but I also love variety; so seeing that I can have assortment of outfits with ten items helps me follow-through. Do you like doing stuff like this, or would it drive you insane?